The seaside community of New Smyrna Beach is known as a quaint and quiet beach town with a thriving mixture of attractions, accommodations and dining waiting to be experienced. With many things to see and do, it’s no wonder families enjoy visiting the area for their summer vacation. However, in Summer 2017, visitors will be in for a real treat as new openings and exciting new adventures are in store to entice travelers to experience a new side of New Smyrna Beach. In late August/early September, the brand new SpringHill Suites by Marriott will be open for business. The hotel will be in an unbeatable location on the beach end of the town's main street, Flagler Avenue. The beachfront hotel is a new-build, but has been designed to blend in with the town's wooden frame architecture. There will be an outdoor pool and patio area, spacious suites, comfortable lobby, on-site dining and a bar, free Wi-Fi, a fitness center, free breakfast and covered parking. In addition to a new hotel joining the community, new restaurants will be making New Smyrna Beach their home as well. 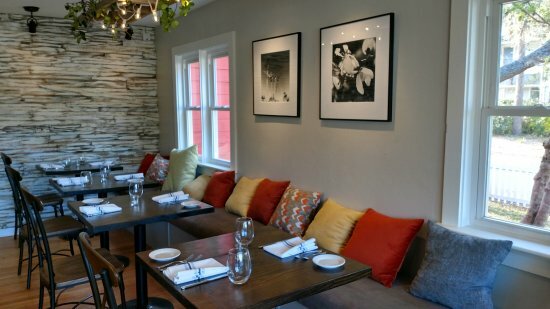 Canal Street is adding a new restaurant to its downtown charm. The French Quarter Grille on Canal is a new restaurant that will be open in a few weeks! The French Quarter Grille on Canal will offer authentic New Orleans style cuisine using only the freshest ingredients and seafood and will have an exquisite beverage menu to satisfy Cajun cravings. For beer lovers, the Half Wall Beer House will be expanding its brand to open a new brewery located off SR 44, New Smyrna Beach’s main traffic route. The brand-new brewery will brew and serve their own craft beer on the premises and will be opening in July 2017. What would a destination be without some awesome adventures to experience and explore? A semi-new business called Pure Island Tours offers one-of-a-kind paddleboarding tours by equipping their custom-made Pure Island paddleboard with a state-of-the-art fully integrated LED lighting system! 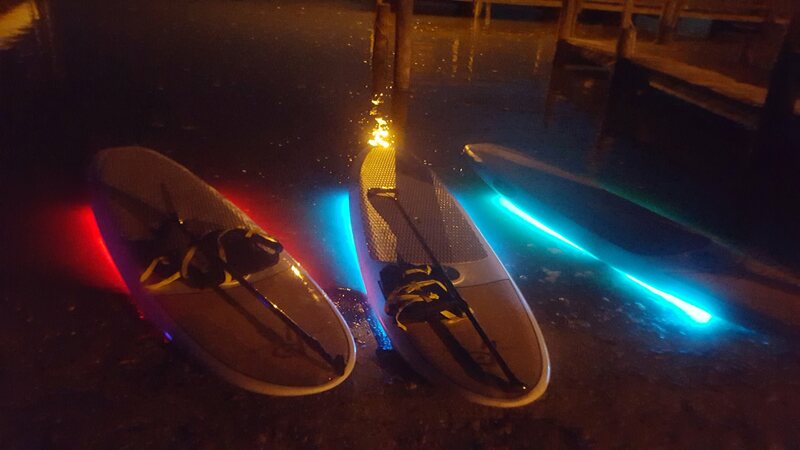 Light up the night as you glide across the Indian River Lagoon on a multi-colored, multi-function LED paddleboard with 16 color options that you control with the click of a button on your personal remote. It’s a unique experience that many outdoor enthusiasts should definitely try! If standing on the water isn’t your style, then try riding an electric bike from FLAUNT Electric Vehicles. FLAUNT Electric Vehicles is a new business that launched in New Smyrna Beach with the idea that eco-friendly transportation could be stylish, affordable, and created with the highest quality standards. Starting in a few weeks, visitors will be able to rent FLAUNT Electric Bicycles to tour around the city or take a joy ride. There will also be tours available to catch the scenery of the New Smyrna Beach area in an eco-friendly way. Finally, the City of New Smyrna Beach just celebrated the grand opening of a brand new riverside fishing pier at Smyrna Dunes Park! The pier is on the east shore of the Intracoastal Waterway and is 350 feet long and 10 feet wide. It features concrete pilings, two large shade structures, multiple benches, and a handrail designed for handicap accessible fishing. The pier decking and handrail cap are constructed with composite lumber and made up of recycled plastic materials. This is a great pier for fishing enthusiasts who are looking to get a great catch in the Red Fish Capital of the World. With many new restaurants, attractions and a hotel coming on board, New Smyrna Beach is definitely a destination that travelers will want to visit for their summer vacation. New Smyrna Beach possesses a hometown quality reflected in its architecture, 13 miles of pristine beach, recreational inland waterways, eclectic restaurant scenes and friendly community of residents. Accommodations here range from charming bed and breakfast inns to family-size condominium units and oceanfront hotels. Visitors and locals constantly enjoy frequent art shows, annual festivals, historical and cultural sites filled with rich history and many unique boutiques, galleries and sidewalk cafes scattered throughout Canal Street and Flagler Avenue. The New Smyrna Beach Area Convention and Visitors Bureau offers a variety of informational resources readily available for both local residents and out-of-town business and leisure travelers. Residents and visitors can learn about the area’s many options for fun, dining, shopping, overnight accommodations, attractions, recreation and more. New Smyrna Beach was voted BEST BEACH for ten consecutive years by readers of Orlando Sentinel! More information about New Smyrna Beach is available online at visitnsbfl.com or by calling 386-428-1600. Follow @NewSmyrnaBeach1 on Twitter, Visit New Smyrna Beach on Facebook, @visitnewsmyrnabeach on Instagram, visitnewsmyrna on Pinterest or Visit New Smyrna Beach on YouTube for updates about events, tourist and local activity or other information about local attractions. Download the free NSB Mobile App for iPhone and Android to receive this information on the go.